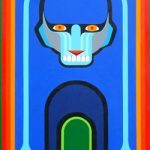 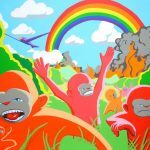 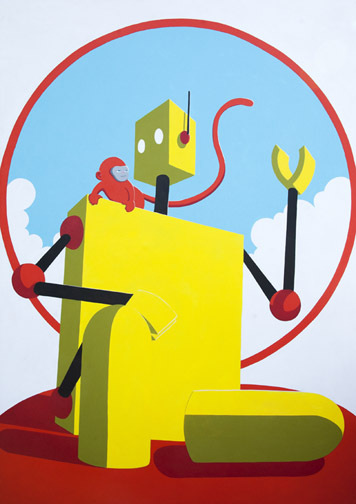 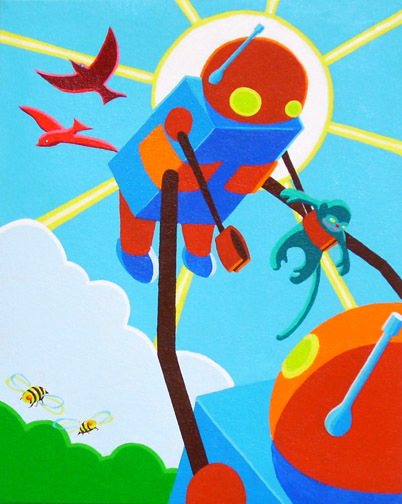 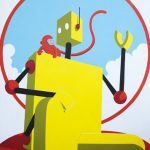 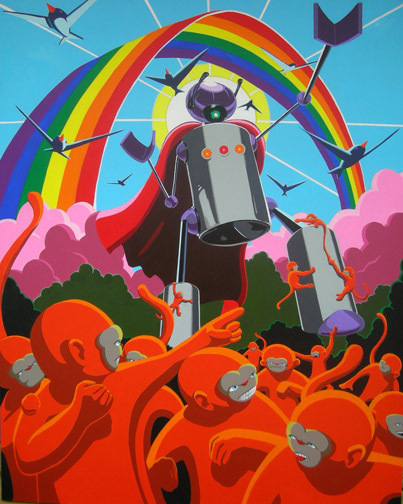 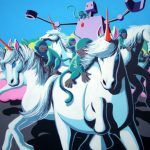 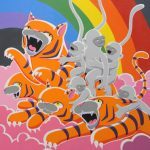 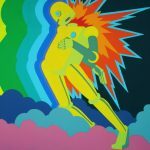 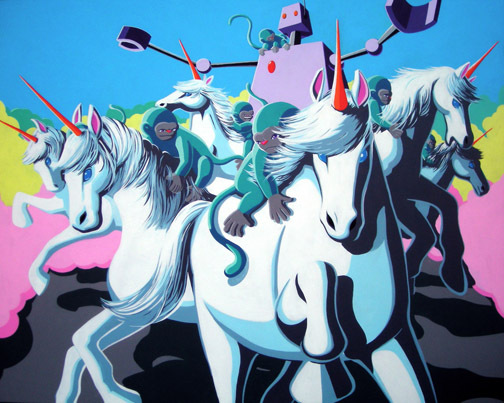 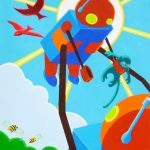 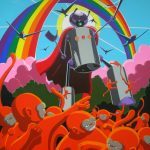 “John Lytle Wilson is a Birmingham, Alabama-based artist known for colorful paintings of animals and robots. 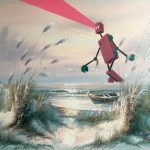 Born in Rock Hill, South Carolina, John received a BFA from Birmingham-Southern College and an MFA from Florida State University, after which he served as Artist in Residence at 621 Gallery. 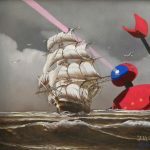 He has since built a national and international exhibition record and has been featured in publications such as New American Paintings and Oxford American, which included him in 100 Under 100: The New Superstars of Southern Art. 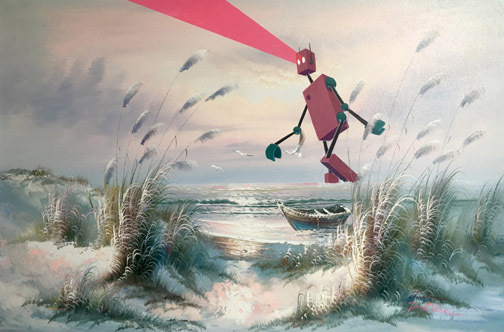 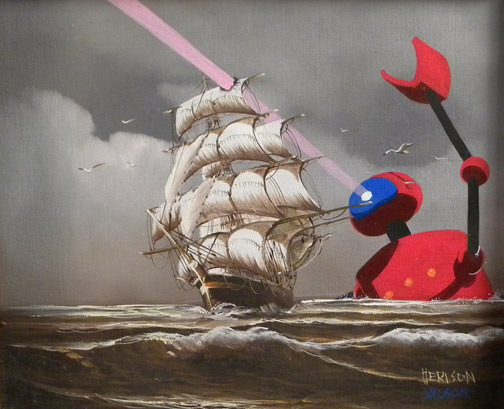 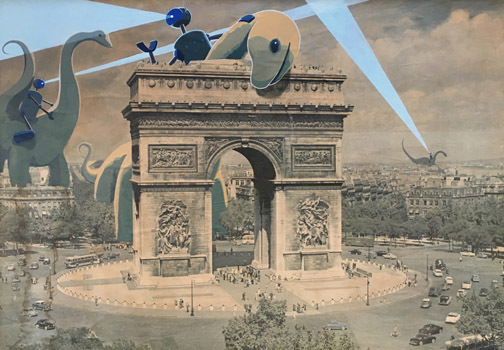 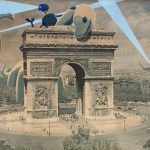 To see other artwork by John including more from his Corrected Paintings Series where he paints his robots, animal subjects, and storylines into existing works of art and thrift store paintings, click here to visit his website.